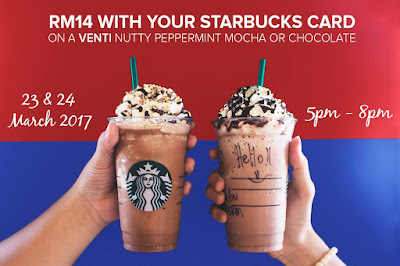 Valid on the 23rd and 24th of March 2017, 5pm to 8pm. 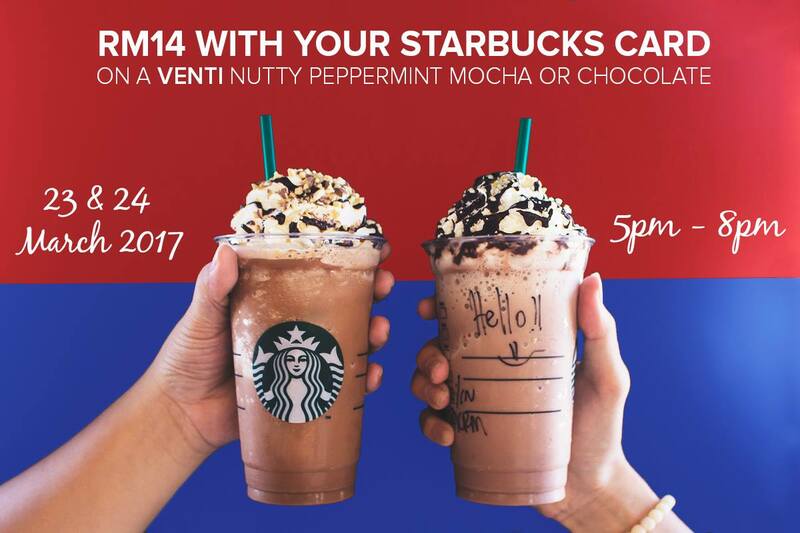 Only applicable at all Starbucks stores in Johor. Not entitled for Starbucks Card rewards.